There are now thousands of green promotional options from apparel to presentation folders to writing instruments either made from earth-friendly or recyclable/recycled materials. That means you can plan promotions that are green from start to finish. A great example of how to do so is with trade shows. What better place to begin showing your prospects and customers that your company is eco-friendly than face to face at your booth. Second, color your booth green both literally and figuratively. 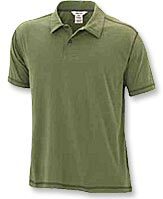 You can dress your reps in organic cotton polos. Have imprinted pencils made of recycled newsprint available to write orders or take down requests for information. 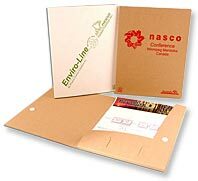 We also know a supplier that offers presentation folders made of either recycled or FSC (Forest Stewardship Council) certified papers, imprinting your logo with vegetable-based, low-VOC inks. Practically every element of your booth can shout a green message. 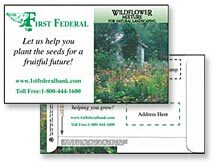 Third, send attendees off from your booth with a handy gift, while showcasing your brand in an earth-friendly way as well. The traditional favorite trade show giveaway, the tote bag, can be a great green ambassador for your company. There are options available today made from organic cotton, bamboo fibers or recycled plastic. We can find just the right bag for your budget while being eco-friendly at the same time. It’s the little things that really bring an eco-friendly message home. Call us at 708-478-8222, send us an e-mail or visit us online at www.linjen.com and we’ll plant a few ideas specific to your next trade show event.